Sudzucker is a German company producing high-quality food and animal feed, as well as bioethanol. Südzucker group is Europe's market leader in the traditional sugar business. Südzucker houses four segments, Sugar, Special Products, CropEnergies and Fruit. Founded on 26 April, 1926 as a sugar manufacturer, Südzucker is headquartered in Mannheim, Germany. Since 2003, Südzucker has diversified its product portfolio and has evolved from a regional sugar manufacturing business to a multinational corporation. As of 2017, Südzucker had nearly 100 production locations in 32 countries, processed 36 million tonnes of sugar beets and produced 5.9 million tonnes of sugar. Südzucker is a member of the German SDAX. With 20,129 employees across the globe as of 2019, Südzucker is a major player in the European market and a vital force in the global market. Südzucker’s vision statements reads as “Selling our sugar to all destinations around the globe” which highlights the company’s focus towards its core competency, the sugar segment. Südzucker’s vision statements reads “To build global, sustainable partnerships through quality in products, reliability in service and excellence in logistical execution.” Südzucker’s USP or unique selling proposition lies in being the largest sugar producer in Europe producing over 4.8 million tons of sugar annually. 1. Promising health and dietary food market With the dramatic rise in the number of lifestyle diseases like obesity, heart diseases, type II diabetes, the world health food market has also seen substantial growth. There is also a booming population of fitness enthusiasts consuming dietary food products. Südzucker's special products division is fast growing and emerging in light of this trend. One of the key business units of the special products division is the Beneo functional food products. Founded in 2007, Beneo is one of the leading food producers in Europe and is today active in over 80 countries. Beneo is a supplier of functional food ingredients for food and beverages and animal feed. One of the key product offerings is functional fibres - Inulin and Oligofructose which stimulate the growth of good gut bacteria. Another product is function carbohydrates - Isomalt and Palatinose - which have less calorific value and lower glycemic index compared to starch and sucrose. Speciality rice ingredients are a unique offering whose features include long-lasting crispiness, creaminess, low-fat, gluten-free and lactose-free rice ingredients. This division aims to tap into the vast potential of health and dietary food market. 2. Growing usage of bio-ethanol as a renewable source of energy Bioethanol is a renewable fuel produced from sugar fermentation using crops like sugarcane, thus aiding in the synergy of the CropEnergies segment with other Südzucker divisions. Bioethanol is gaining popularity worldwide as a substitute for petroleum fuels owing to its lower price, less pollutant generation and cleaner fuel burning attributes. Paris Climate Summit has a keen focus on agreements encouraging renewable sources of energies in the transportation market. This is in tandem with the goal to curb the global warming temperature increase at 2°C and reduce the usage of fossil fuels. With an annual production capacity of 1.2 million,CropEnergies is well equipped in terms of capacity and operation to meet the rising consumer and government demands. The successful relaunch of the Wilton production plant in 2016 enables CropEnergies to utilise the production capacity flexibly as per demand requirements. In the long run, the consolidation of multiple suppliers in the European bioethanol market can provide bright opportunities for CropEnergies due to its technological leadership, location and size. 3. Expansion in the U.S. frozen foods market The frozen food market in the U.S. has been reporting notable growth figures over the decade. The frozen food sales in 2013 was 50.38 billion U.S. dollars and had increased to around 53 billion U.S. dollars in 2016. In 2016, the average expenditure on frozen foods was approximately 130 U.S. dollars per consumer unit in the U.S.
Freiberger Group is a wholly owned subsidiary of Südzucker AG. Freiberger Group has been the growth driver of the special product division. Its European sales and distribution operations have been extended to cover the North American markets. Recently, Freiberger acquired the American company, Richelieu Foods Inc. which has enabled it to enter into the U.S. market. Richelieu Foods Inc. is the market leader in private label pizza sector in the U.S. Owing to the already established customer base and technical expertise, this acquisition provides a platform to generate high volume sales and further expansion. 1. EU sugar policies In the last decade, several taxation policies have been implemented over sugar and food products containing sugar by EU member states. The national governments in Europe have led the introduction of sugar taxes with 6 countries since 2015. As of June 2018, sugar or health tax has been introduced in 11 European countries. Apart from Europe, several emerging nations have introduced similar policies around the globe. For example, since 2014, Mexico has had a sugar tax, owing to the very high rate of diabetes in the country. The key area of focus for sugar taxation has been sugar-sweetened beverages (SSB), which are linked to weight gain and other chronic diseases. In April 2018, the UK introduced the Soft Drinks Industry Levy to non-alcoholic beverages with added sugar, ranging from 18 to 24 pence per litre depending on the sugar content. Similar policies have also been introduced in Ireland. With several other nations considering sugar taxation, there has been mounting pressure on the EU commission and member states from the World Health Organization (WHO) to reformulate their products to reduce the added sugar quantity. 2. WTO Negotiations and free trade policy WTO-II negotiations, conducted in Doha round with the aim of enhancing trade in developing countries, have not been concluded since its commencement in 2001. In parallel with the WTO negotiations, the EU CXL import quota was raised by 114000 tonnes to a cumulative of 791000 tonnes to compensate for the inclusion of Croatia in EU as of 2017. Brazil's share will be 78,000 tonnes of sugarcane, with a tariff of 11 €/t of sugar cane for additional volumes for the first six years. The EU has been negotiating with multiple nations and bloc such as MERCOSUR (comprising Argentina, Brazil, Paraguay, Uruguay, and Venezuela) for free trade agreements. In case, sugar and sugar based products are not deemed as sensitive commodities, contrary to current practices, it may be imported in the EU at preferential tariff rates. 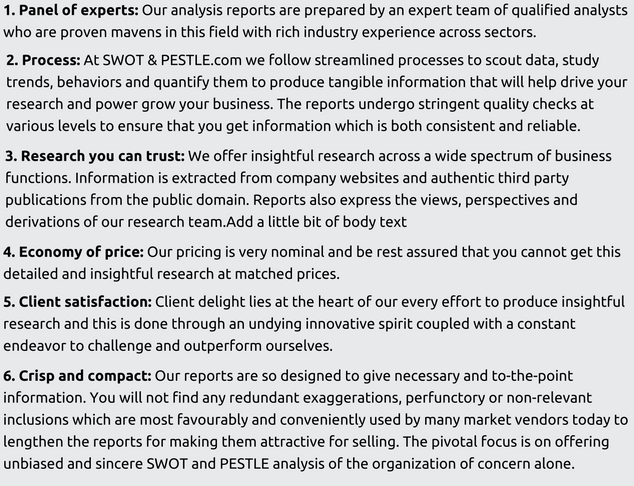 The remaining section of "Environmental" is available only in the 'Complete Report' on purchase. 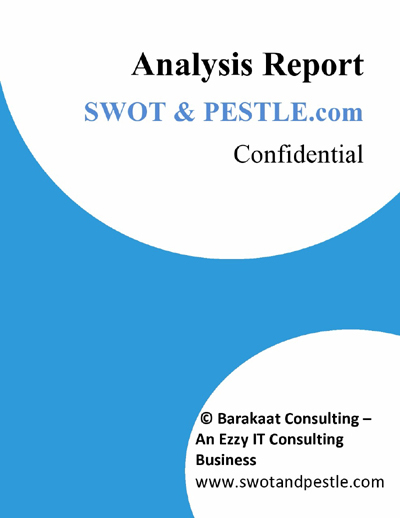 Südzucker SWOT and PESTLE analysis has been conducted by Prachi Tripathy and reviewed by senior analysts from Barakaat Consulting. 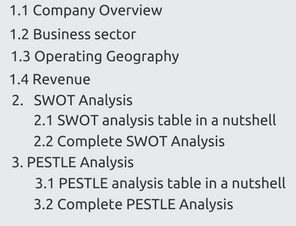 Copyright of Südzucker SWOT and PESTLE Analysis is the property of Barakaat Consulting. Please refer to the Terms and Conditions and Disclaimer for usage guidelines.